When everything and everyone has become suspect, when no one can claim to be even half perfect, when we cannot agree on a document of national consensus, not even on what has been written in the constitution, when levels of morality, be it public, personal, political, financial or religious, have tanked, when values have vanished, when a collective doom is inevitable, what should be done? No one will disagree that something has to be done to avoid a total implosion of a symbolic constitutional polity and an economic collapse, but no one has any solution and no two persons agree on any either. Not one section of our national spectrum can claim to be largely honest and upright, in fairness: some have no public morality, others lack it in their official and private conduct; all have committed sins and blunders, some bigger than others; all have misled, misguided or lied to the nation, never fully stood by their oath, never delivering what they promised. Section-wise, in brief, what have various power centres done over the years is shameful. The military and civilian establishment has ruled the country for decades, and whenever they were forced to give up power, they left the country with lower standards of morality and governance, more economic hardship and a battered and depressed nation. Whether the military side of the equation, the predominant power player, learnt any lesson is not clear but certainly a higher degree of restraint is now on display, but for how long? If the other power centres do not pick up the responsibility and try to share the burden of stopping the rot and lifting the country, no one will silently watch an oncoming doom with closed eyes, just to be spared of being blamed of interference. The civilian establishment, always a partner in power, whether with legal or illegal regimes, has collapsed to a degree that it is hard to imagine how it can lift itself up. This sector has benefitted the most and never been put to real test of accountability. A few hundred thrown out here and there in the past never mattered. It needs a super hard taskmaster with no under-the-table agendas, but it can be put right. The judiciary has its own shameful black spots in history and many of the judges in the past were deeply in cahoots with one or the other side to topple what they considered to be an adversary, political or other. Troikas were formed and reshuffled at will, mostly for vested personal or political gains, mainly for brute power and never sincerely for reforming the system. Now the judiciary has taken a more presentable role, an aggressive pro-nation stance but this may still be a passing phenomenon, as men of strong nerves may be replaced in time with amenable compromising folks. In any case, only the judiciary alone cannot fix the terribly mixed up polity. The politicians have discredited themselves more than ever before. In national affairs, they are supposed to have a higher moral standard in their personal, official and political lives, but they have failed. Their source of strength and the bastion of power, the legislature or Parliament have been deliberately turned into a garbage dump refusing to serve or perform for the people who bring it into power through their votes. The more they gain time and try to grab space from others, the more they sink deeper in filth. Details can take books to explain but the latest examples of buying and selling senators or using brute numbers to disfigure the constitution for the benefit of a legally disqualified politician are enough to judge where they have fallen. 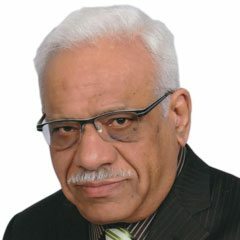 Some years ago, I had casually suggested to Mohtarma Benazir Bhutto that she should consider signing a ‘Charter of Democracy” with Nawaz Sharif as she was proceeding with Asif Zardari from Dubai to Jeddah to condole the death of Mian Sharif. She jumped on the idea. What I had suggested was a broader consensus, based on honesty and sincerity, between political players so that musical chairs of pulling each other down could end. Both Nawaz and BB agreed and signed the document. How fake and dishonest the signatories of the charter ultimately turned out to be was never imagined or even slightly suspected. The charter died after Benazir Bhutto’s assassination as her heirs have different agendas. So now a new ‘Charter of Honesty’ is needed. With no one able to do it single-handedly, each player also has to clean up its ranks. Parties should throw up genuine leaders. They probably cannot, as the grip of mafias is too tight. Judges and generals should press for the right thing trying not to use force. But some basic ground rules will have to be re-written, if not through the available normal process, then under the threat of use of force, if needed. Without setting up a positive and constructive foundation and agreeing to a clear forward-looking direction, the rot would not stop. The shape of the new troika is clearly visible. Previously it was the president, the PM and the army chief. Now we have the PM, the army chief and the chief justice, with their supporters and opponents in the media and civil society. Why can’t these three top guys sit down and lay down some ground rules, not fraudulent or manipulative, but based on known international norms of polity and statecraft, established democratic and legal practices, a system of merit with the right person in the right job. Vested interests should be kept on the side for a while. It is naive to think that the largely illiterate and captive voters, who cannot do anything about what is going on, can decide these tricky and messy issues. They can only vote and if the choice is between the thug and the thief, how will they get a better country? But there is not much time to waste.